Power of Love's pediatric HIV care program continues to improve the lives of several hundred children and families impacted by HIV, AIDS, and malaria in Zambia. The vision behind this program is to strengthen women and grandmothers so they can take care of their HIV+ children and sick family members at home. We do this by providing food, medicines, and a package of life-saving healthcare services to HIV positive children, as well as training their caregivers to care for an HIV+ child. In addition, the children receive weekly visits from our healthcare workers, psychosocial counseling, education on the prevention of HIV, and adherence training and monitoring of their medication regimen. As a result of this high-quality and continuous care, 99% of the children are stable and/or improving in health since January 2013. The improved health of the children has a secondary effect of increasing their school attendance and performance. Today we would like you to meet two children in our program who are doing well at school and have big dreams for their future. Taonga is 16 years old and is studying in grade 7. She wants to take courses in nursing after she graduates from high school. Taonga is happy that the aunt who cares for her is receiving mealie meal (a Zambian staple) and beans from our pediatric HIV care program. In addition, Taonga receives weekly visits from a healthcare worker, psychosocial counseling, monitoring and training in adherence to medication, and education in prevention of HIV. We are proud of Taonga as she takes her ARV medications on her own and is working hard at school to become a nurse. Mabvuto is 15 years old and lives with his mom and Uncle. 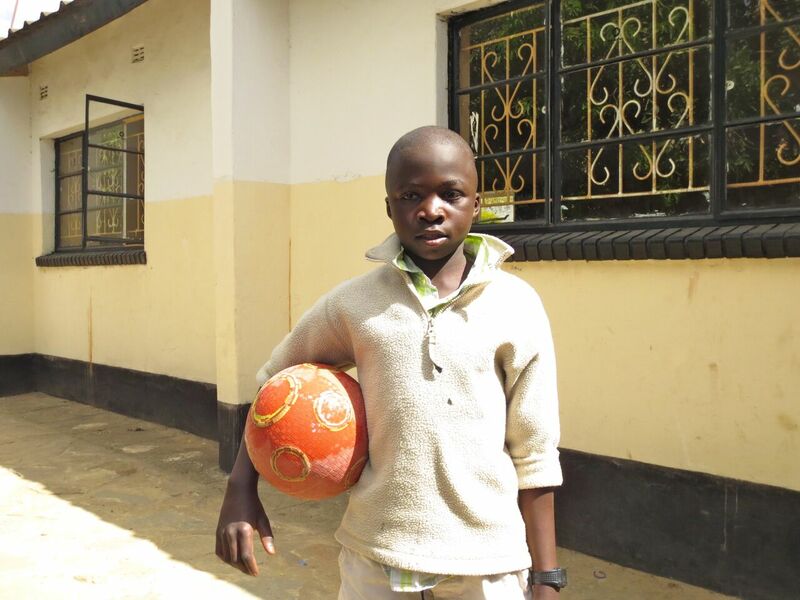 He is studying in grade 6 and loves playing soccer. He and his friends have formed a soccer team and they play games with other teams in the neighborhood on Saturdays and on Sundays after Church. Mabvuto is aware of his HIV positive status and has discussed it with his friends and family. He takes his medications every evening at 8 p.m. and goes to the clinic for his appointments on his own. He told us that he learnt about HIV and AIDS in school. Mabvuto loves school and aspires to become a doctor. Power of Love’s pediatric HIV care program impacts 200 children and their families directly, with an additional 1200 children impacted indirectly as the family members share their knowledge of caring for an HIV+ child with others in the community. Your support and donations will provide much-needed food, medicines, and healthcare services to several hundred children in the community of Matero in Lusaka, Zambia, helping them stay healthy and in school. We could not have done this without you. Thanks again for your love and support of these children. Have a wonderful holiday season and a peaceful and joyous New Year.